Some diets have less-dramatic results. 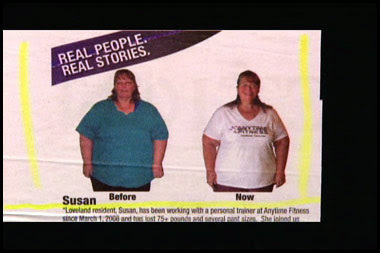 In this diet, Susan changed her shirt. 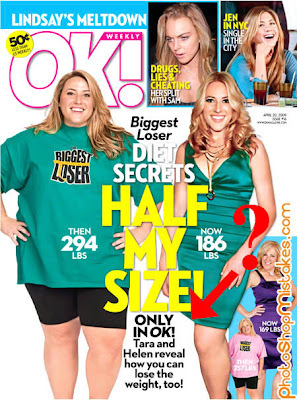 On this diet, Tara lost lots of weight, including her right leg. Well, in order to make the math of "Half her size" correct, they probably had to lop off the leg. I mean, otherwise she's more like 2/3 her former size, and that just doesn't sound as catchy.